Moving for me equals painting.....every single room! 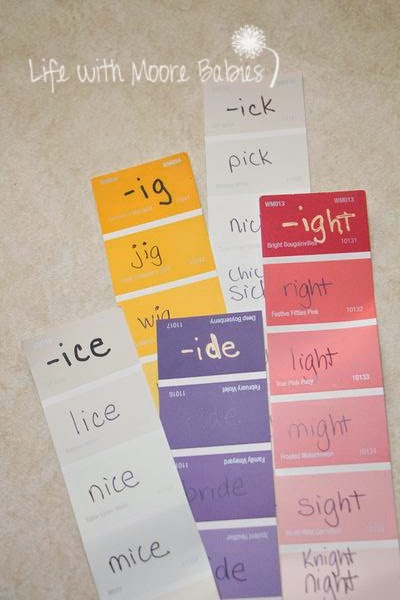 Painting equals paint chips! 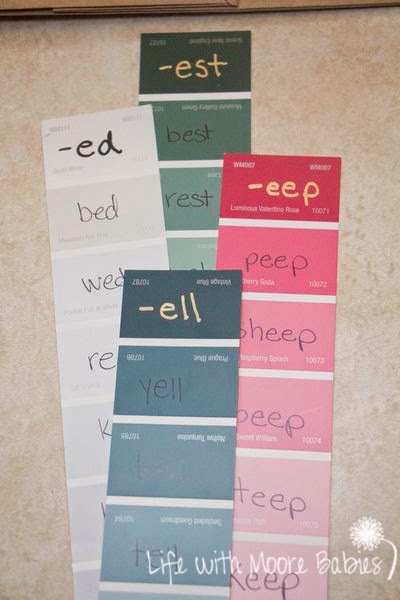 So out of our abundance of paint chips, I came up with these colorful Paint Chip Word Families! 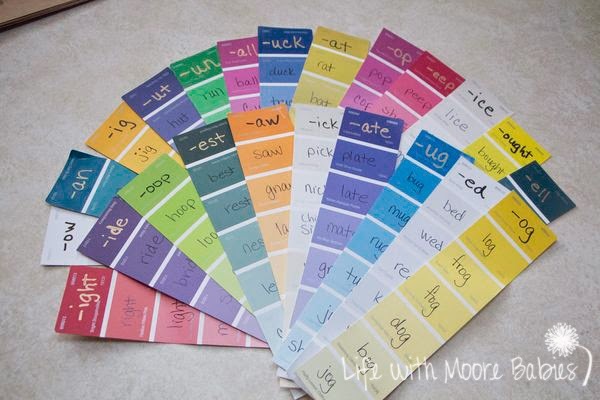 I started by writing an ending at the top of each paint chip. 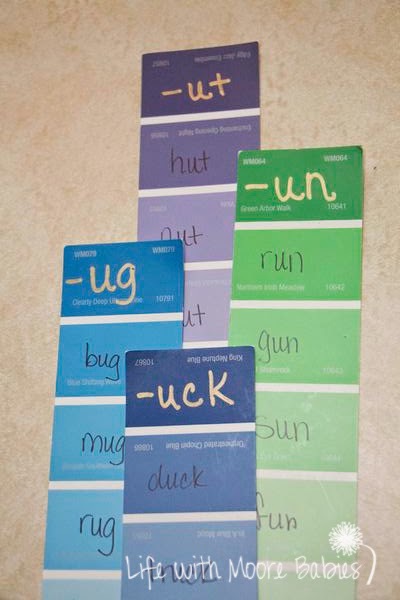 Then we drew them at random, and the girls took turns coming up with words that belong to that family. 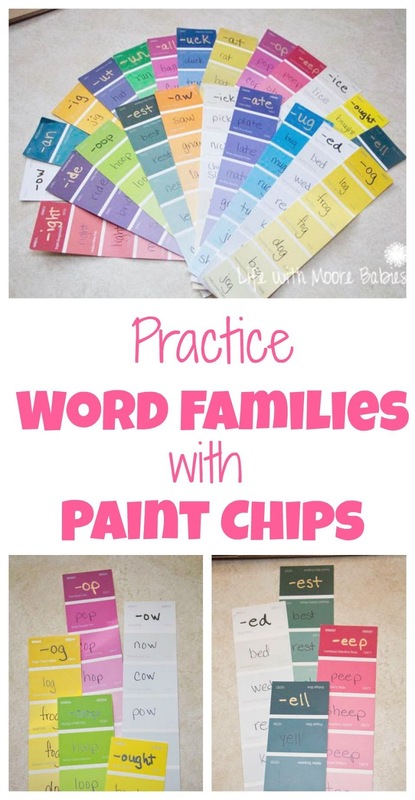 We in no way did all the word families, but if you had enough paint chips you certainly could! Some families could even use 2 paint chips because there are so many words that fit; we just squeezed any extras we came up with in a box with another word. 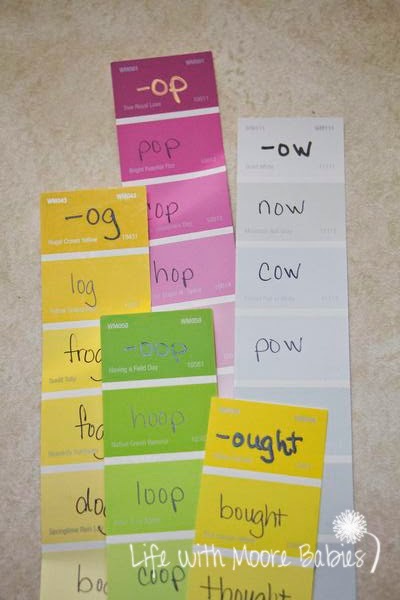 This was a great way to practice rhyming words, and now we have lovely word families that we can use for spelling lists! You could also do this a little differently putting only the beginning in the boxes and then having your child practice adding the ending of that word family to the beginning sounds. 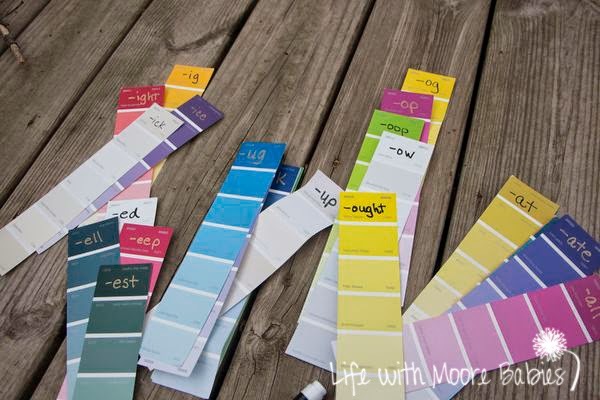 Do you have paint chip lying around? 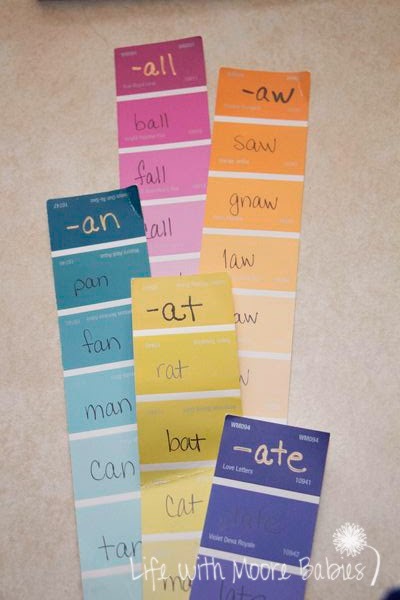 If so, why not get some hands-on reading practice!